This recipe for тушёная капуста, or braised cabbage, is one of the tastiest recipes I’ve had in a long time. 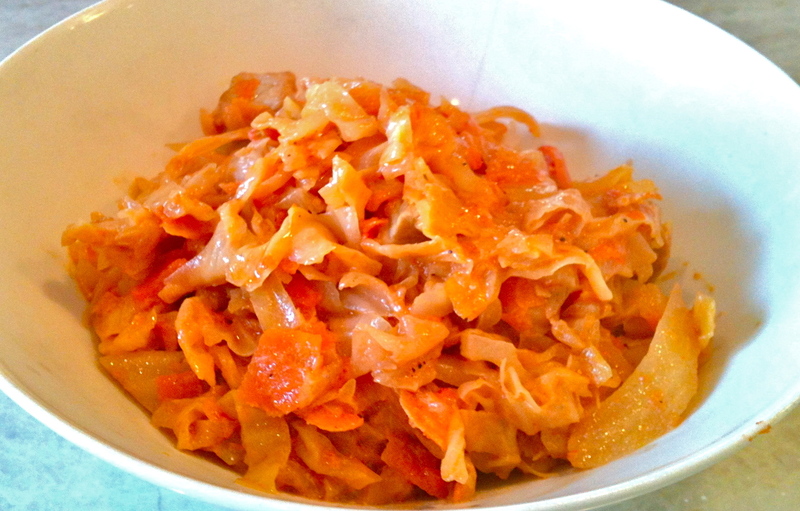 I first tried it when I was making cabbage filling for a batch of pirozhki (recipe to come later! ), and it was so good that I ate about half the bowl before I had a chance to use it as stuffing! Healthy, yummy, and substantial, this cabbage and meat dish is a fabulous one-pot dinner with huge flavor. Heat oil in a large pot and brown the pork until cooked through. Remove from pot and place in a large bowl with the shredded cabbage. 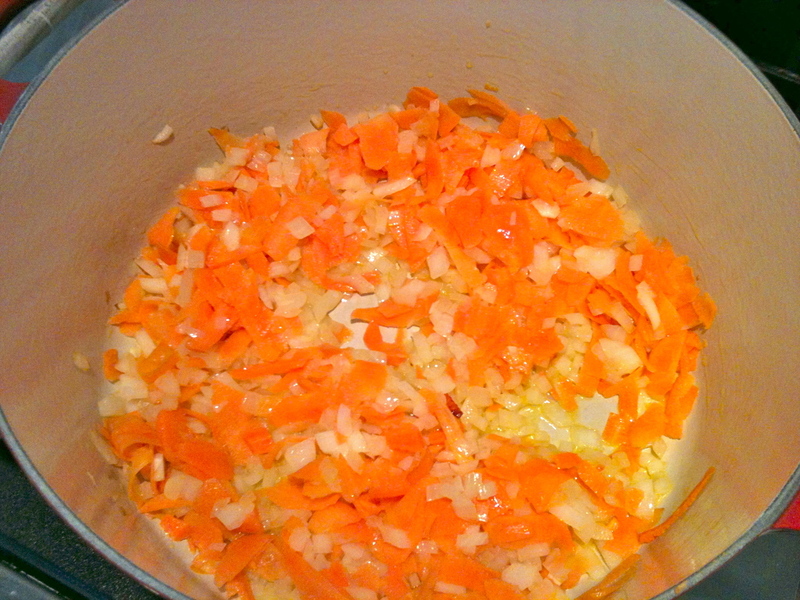 In the same pot where you browned the pork, saute carrot and onion until softened. Remove from heat and mix in 2 tbsp sour cream. Then add this to the bow with the cabbage. Heat a bit more olive oil in the pot and transfer in the cabbage mixture, along with the crushed tomato, the rest of the sour cream, and the salt, brown sugar, pepper, cumin, Mrs. Dash, and bay leaves. Stir well and cover with a tight-fitting lid. 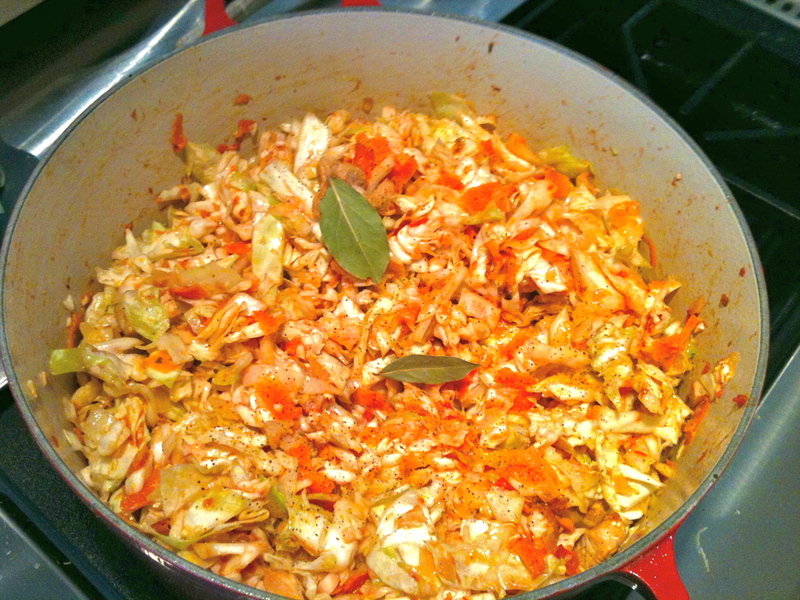 Cook on medium heat, stirring regularly, until the cabbage is softened–about 30 minutes. Remove the bay leaves and enjoy piping hot! Приятного аппетита! Keep up the good work Kelly….